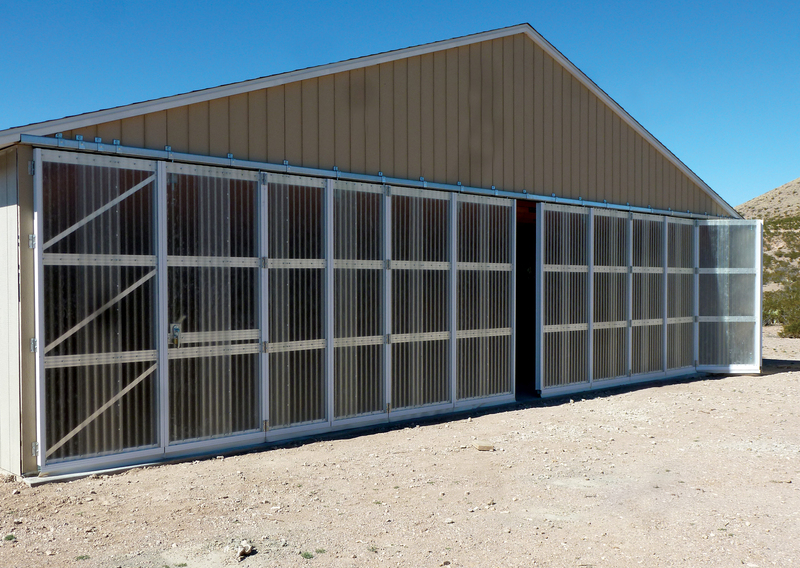 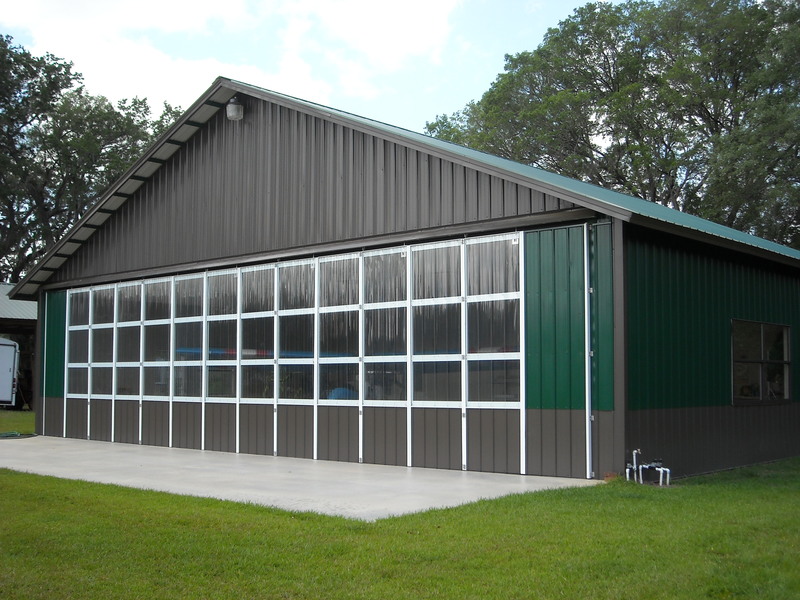 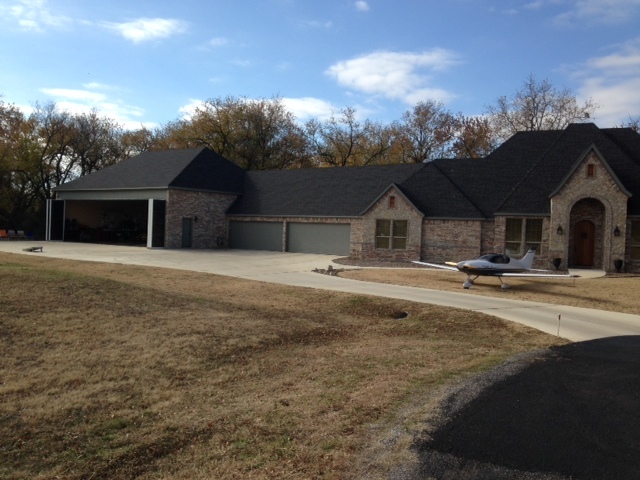 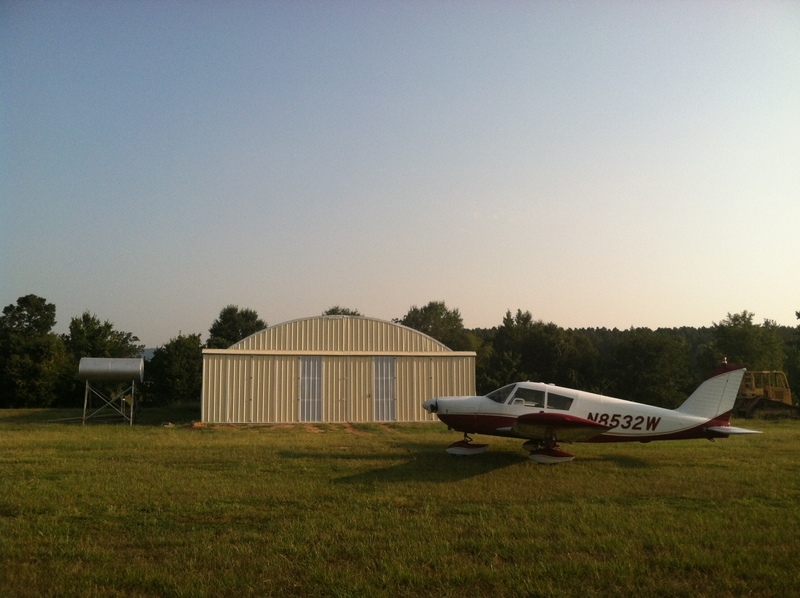 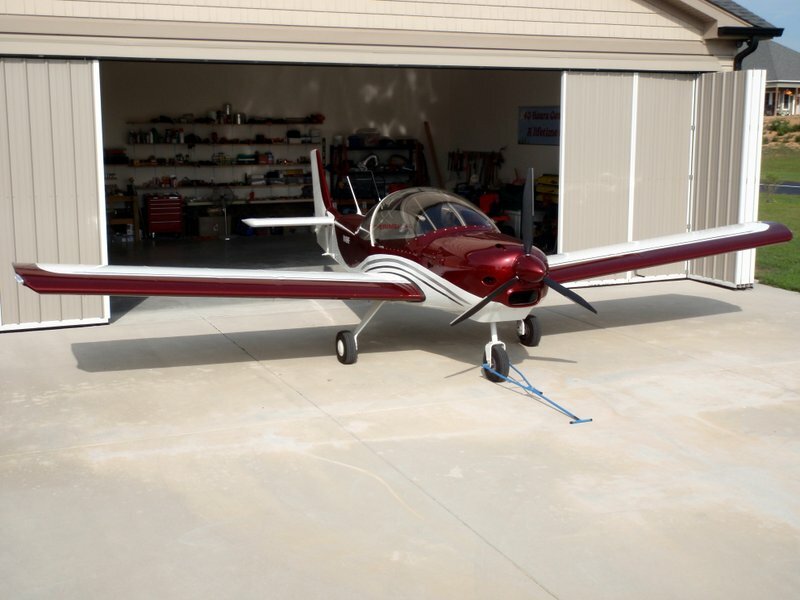 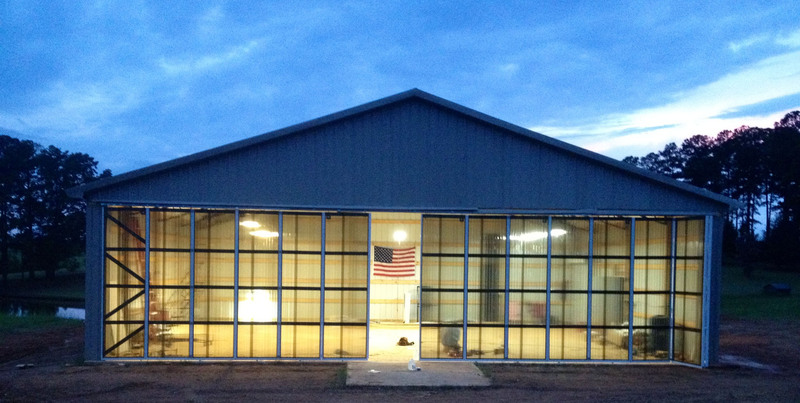 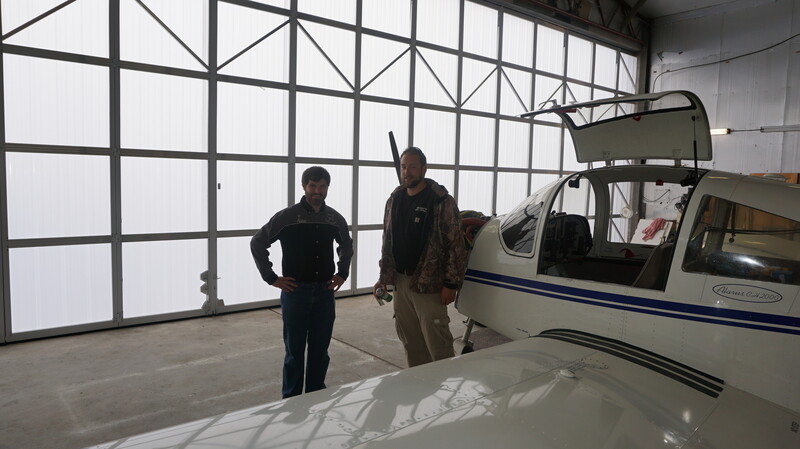 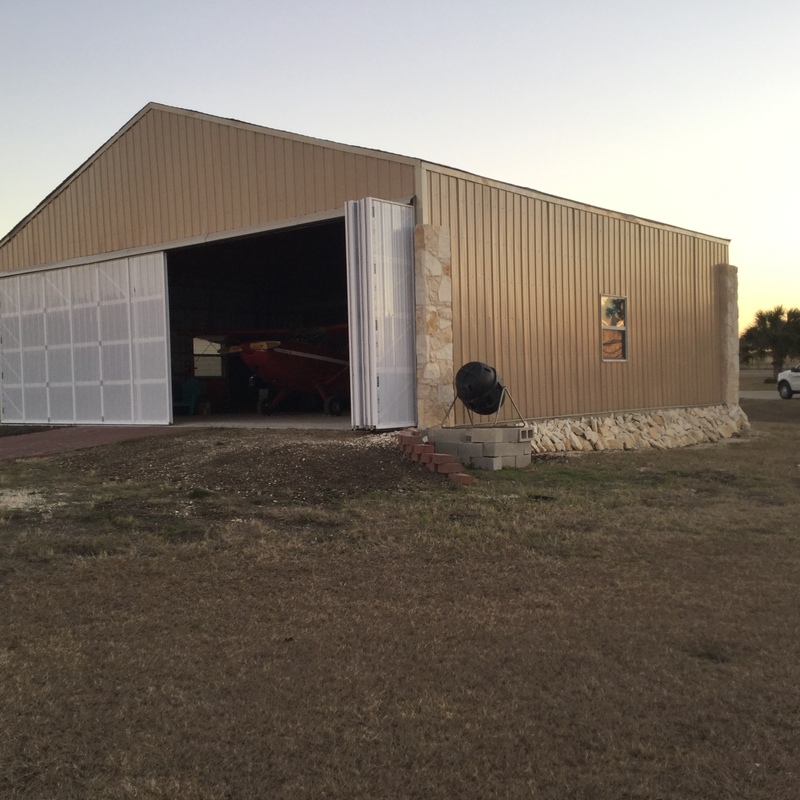 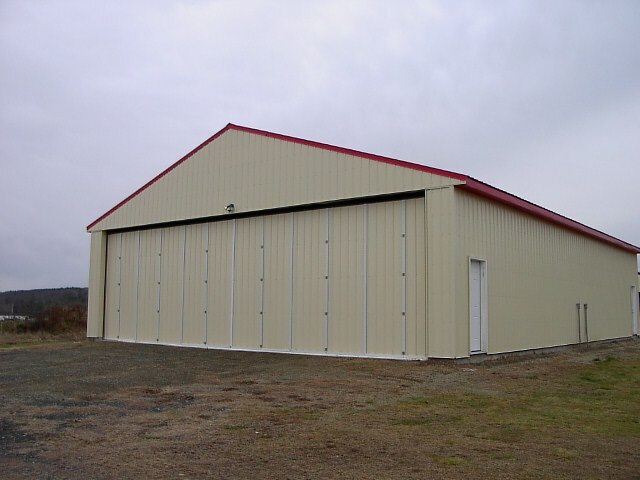 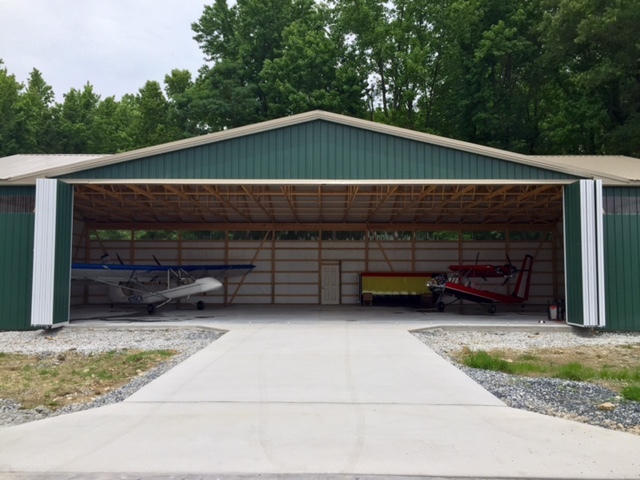 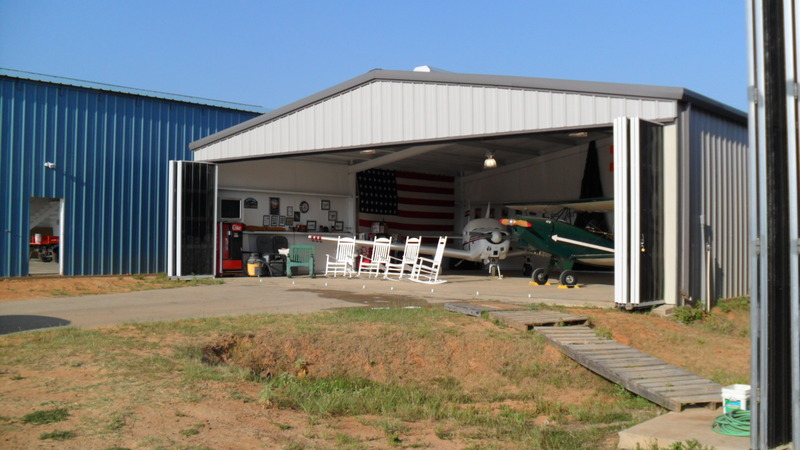 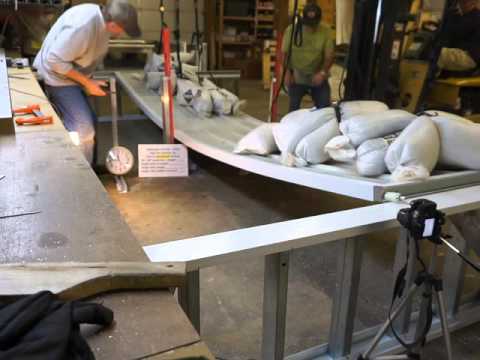 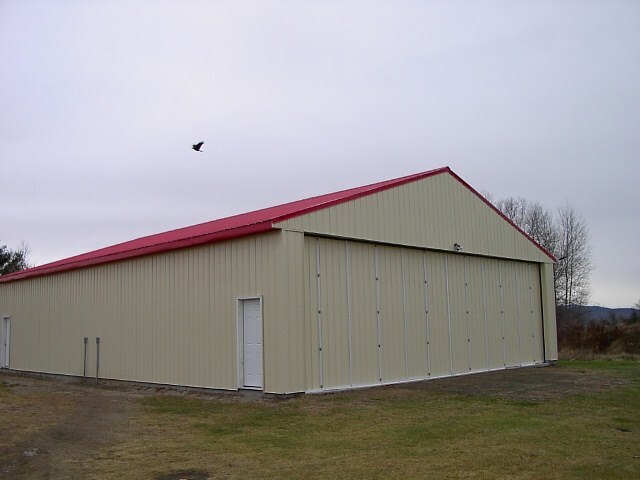 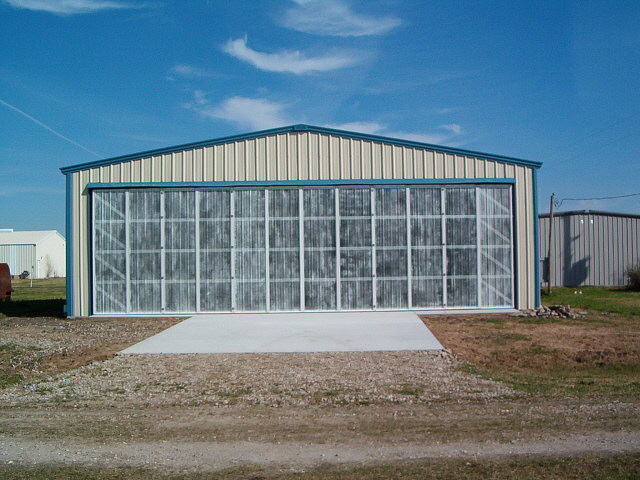 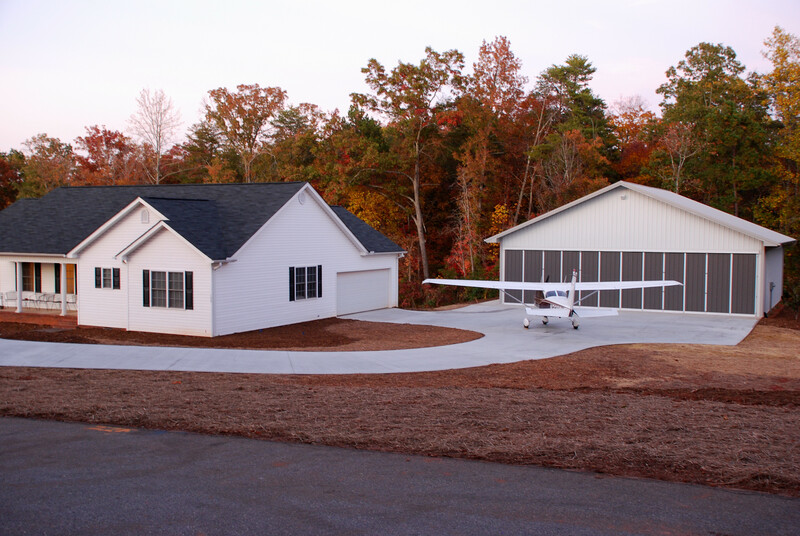 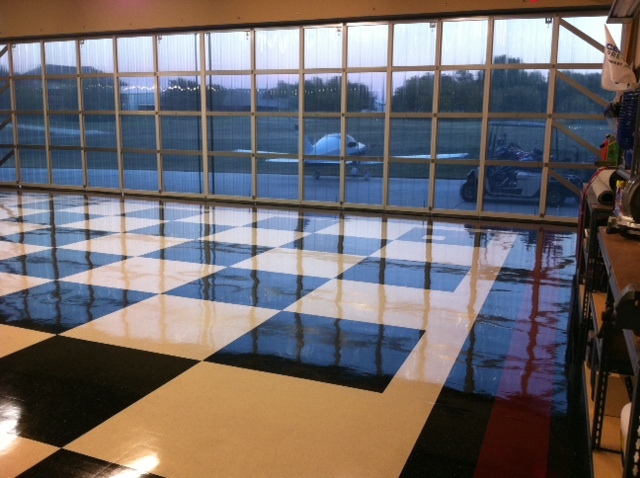 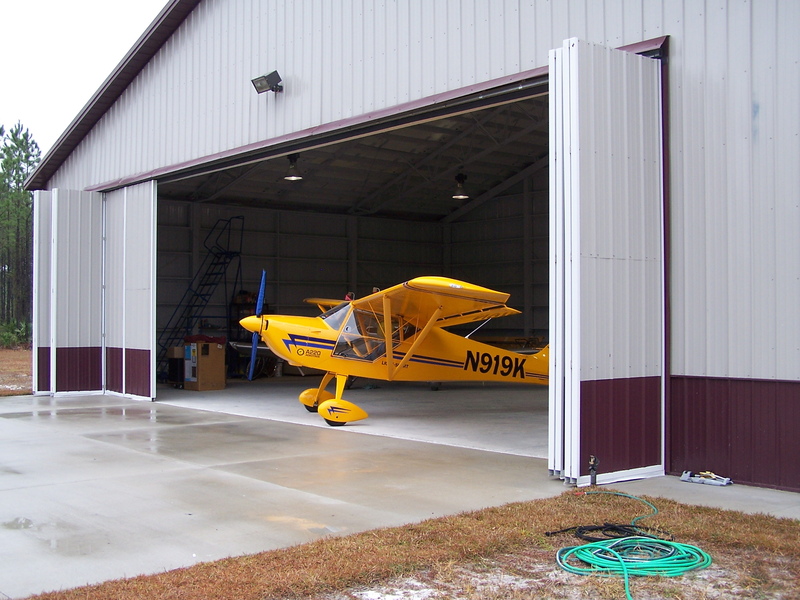 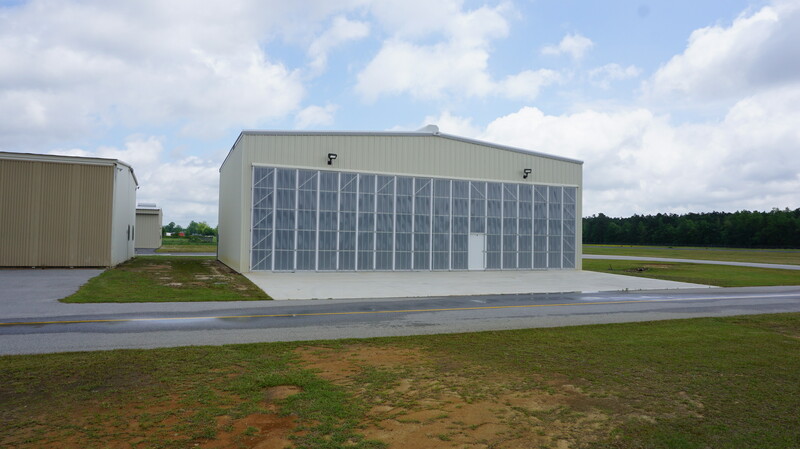 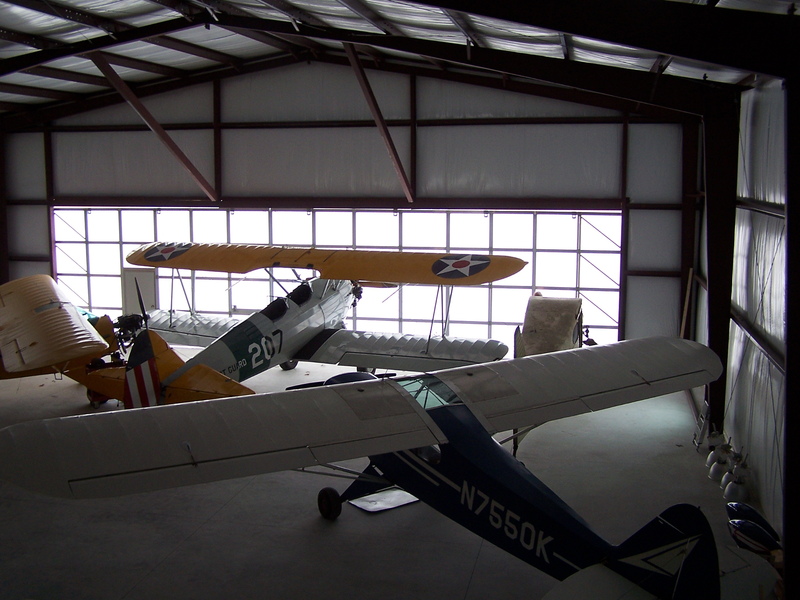 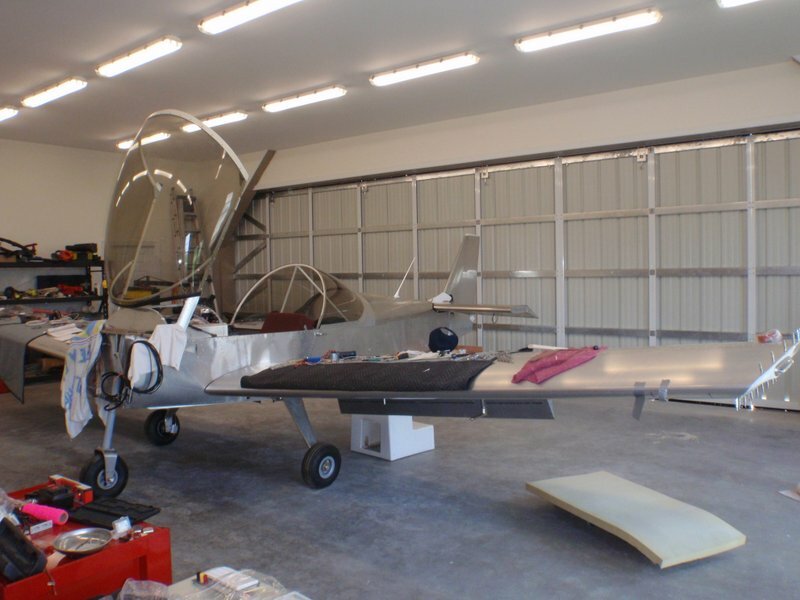 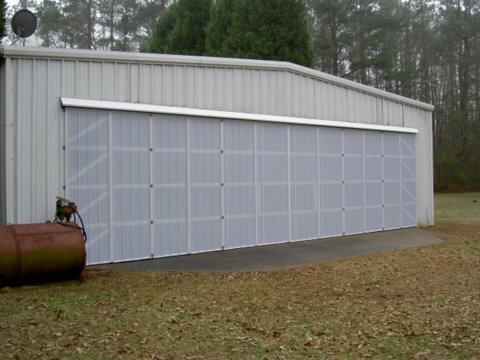 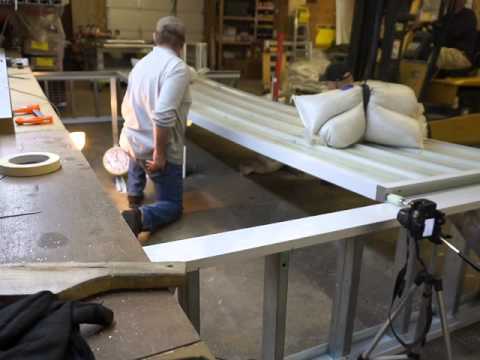 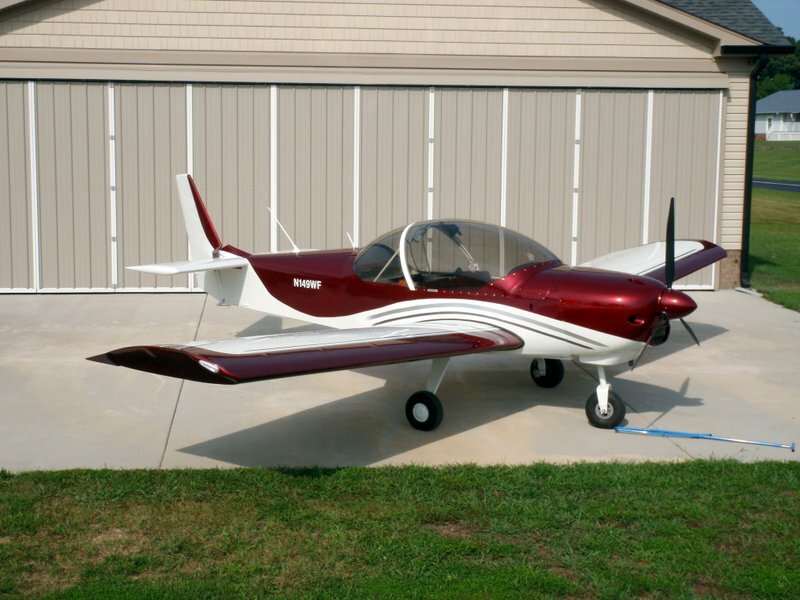 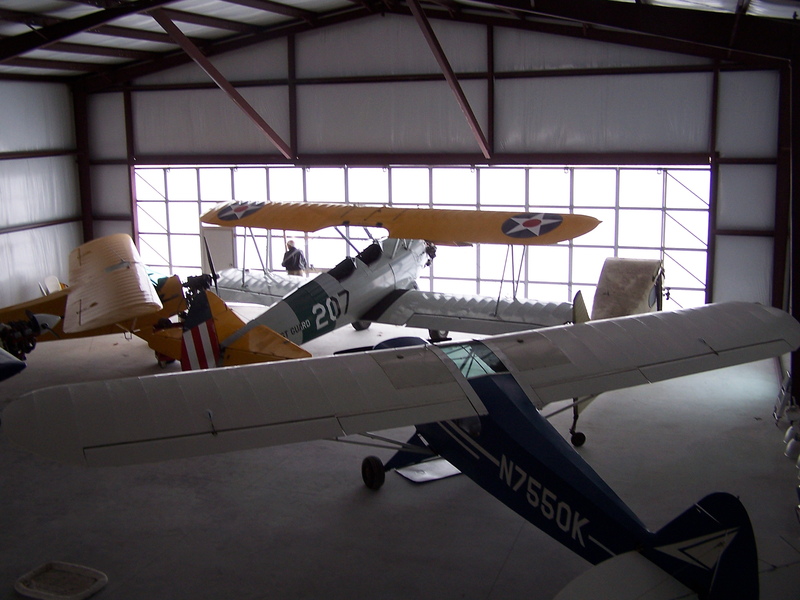 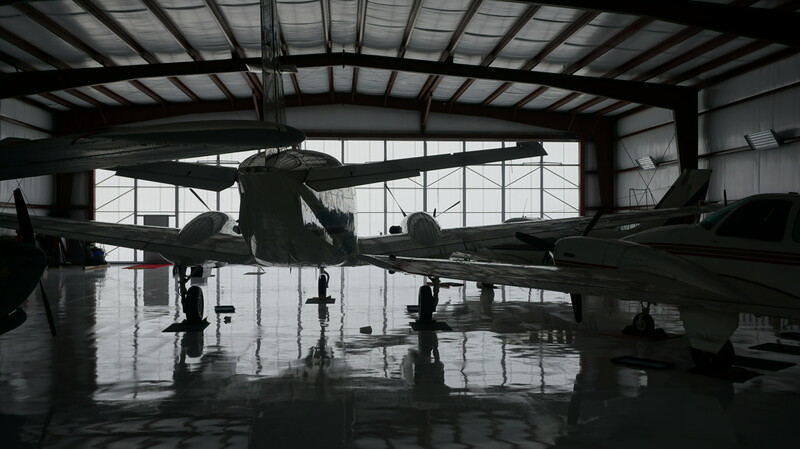 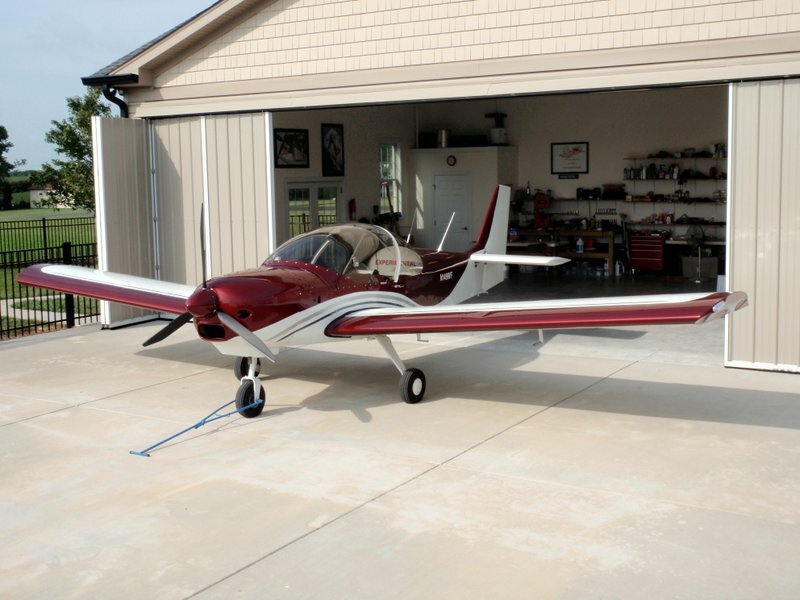 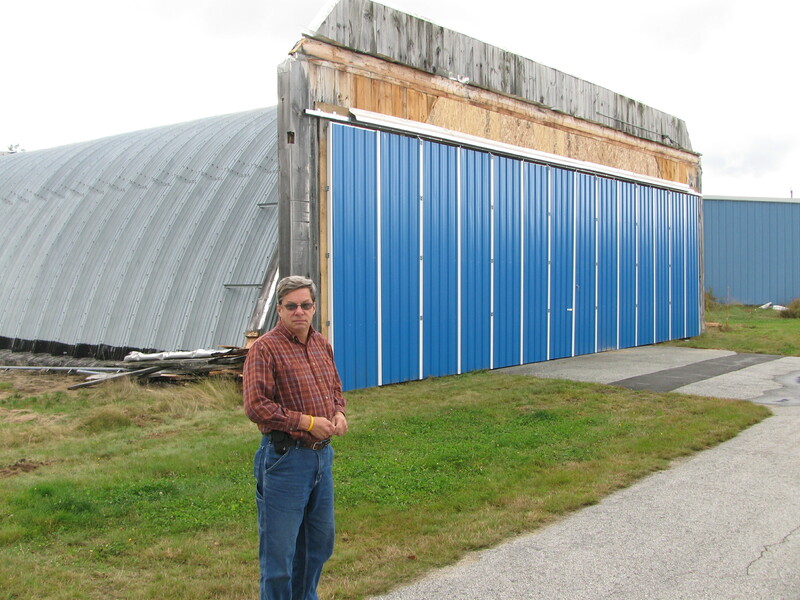 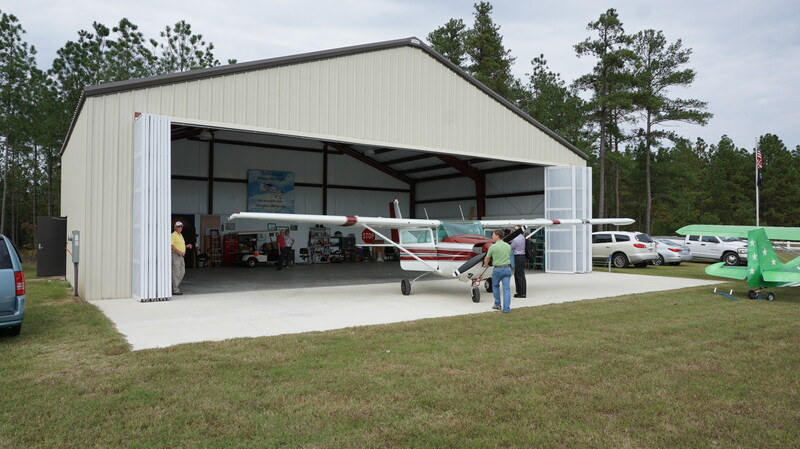 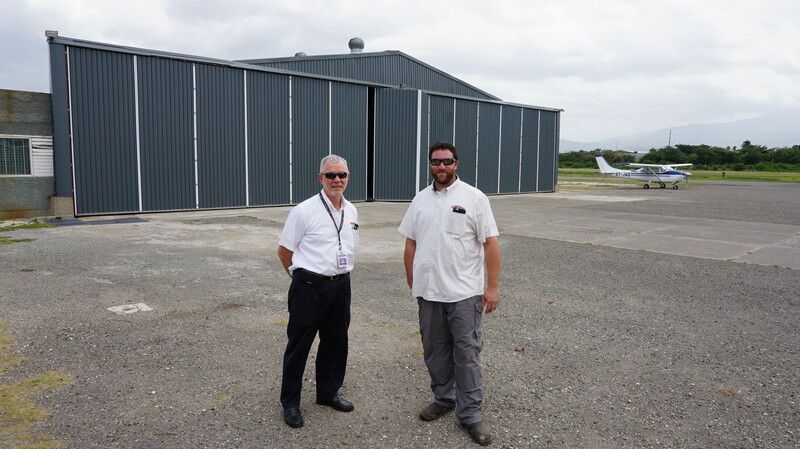 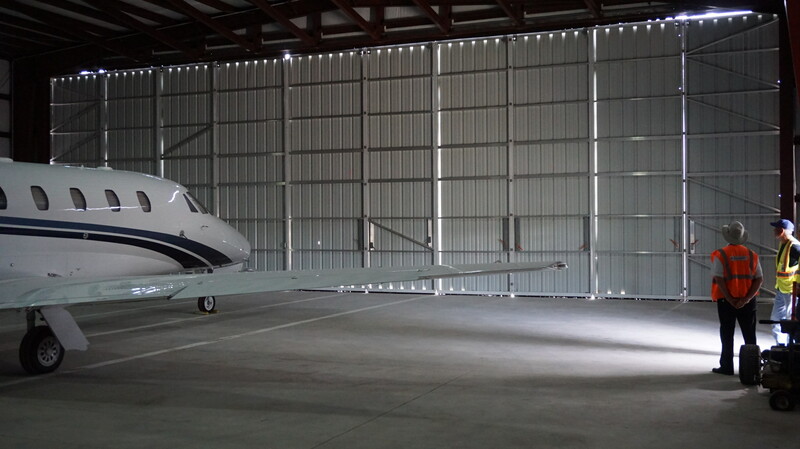 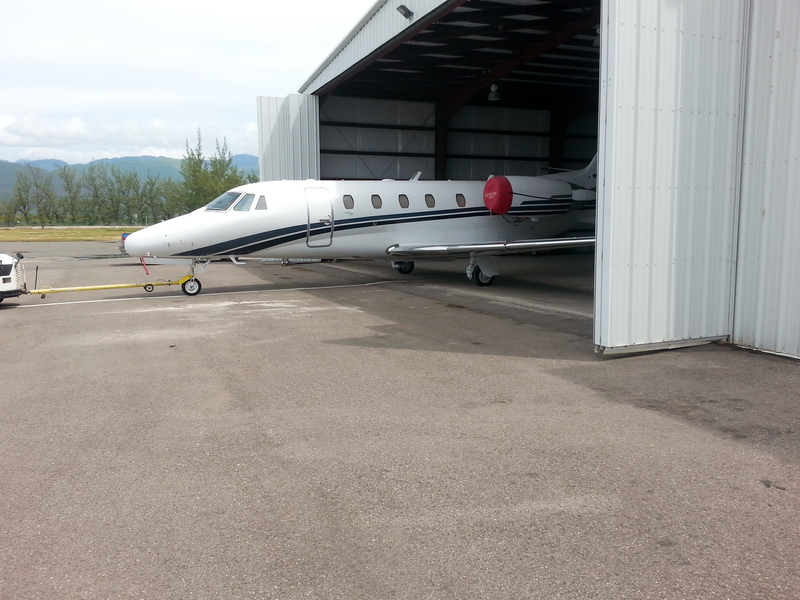 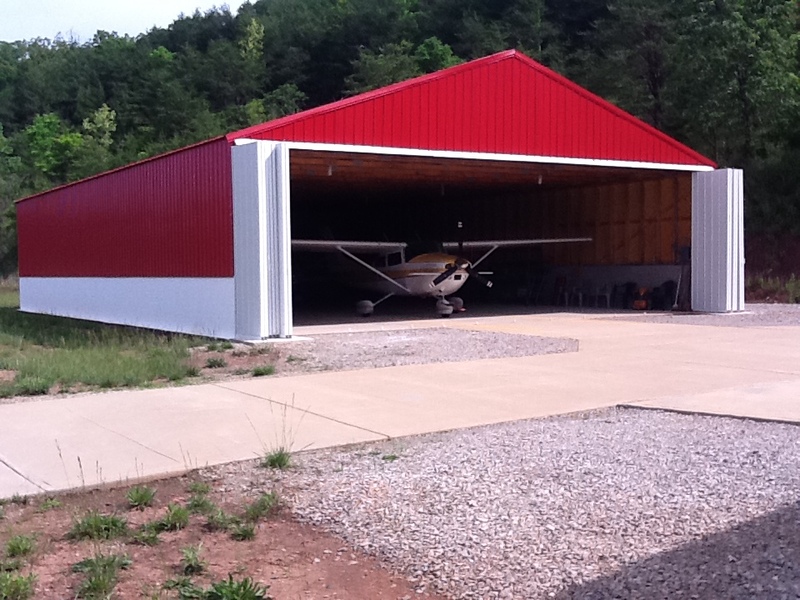 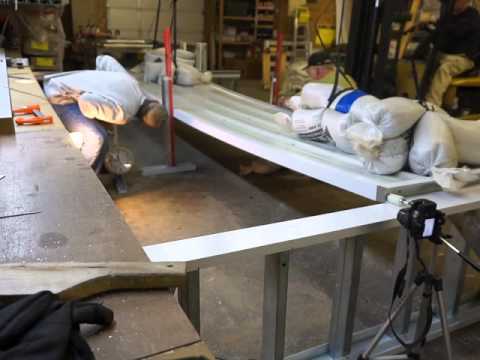 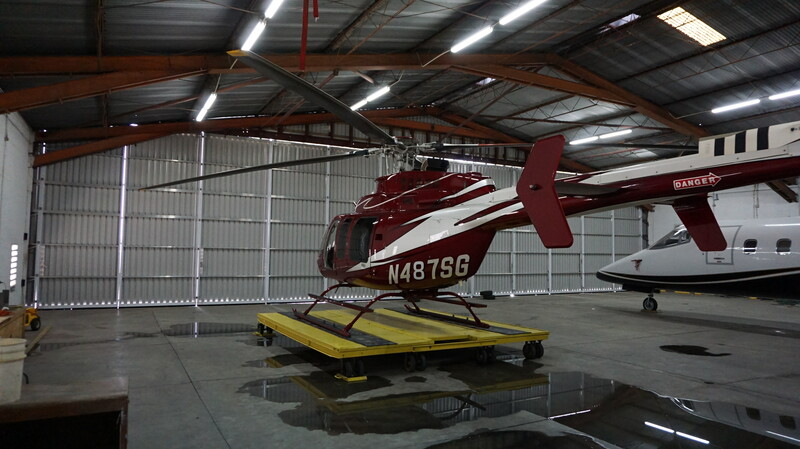 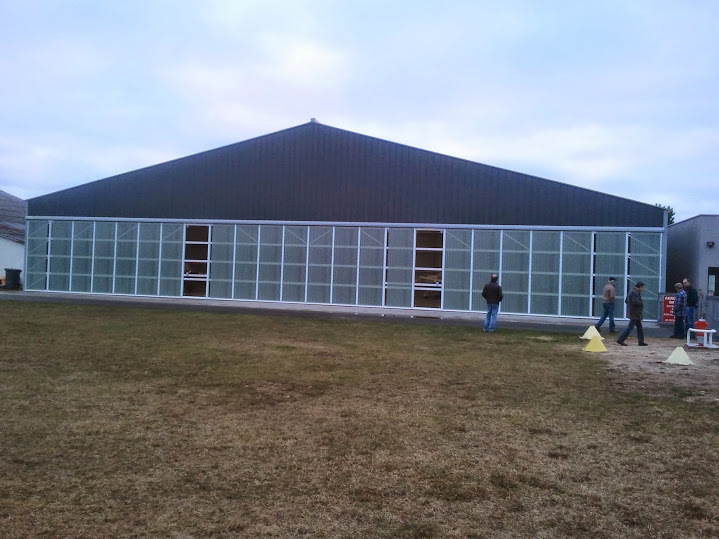 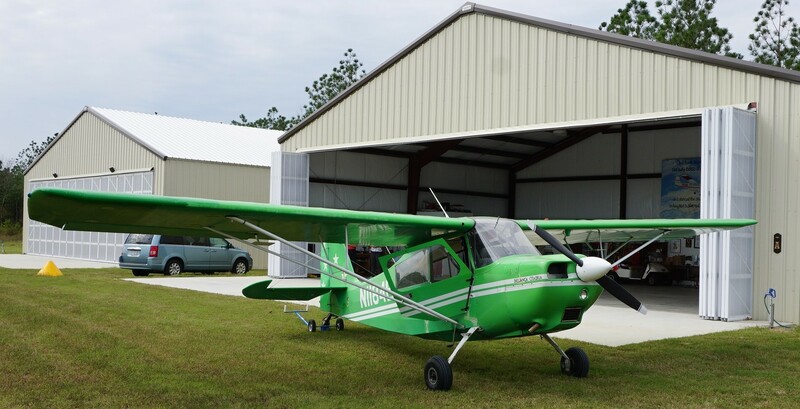 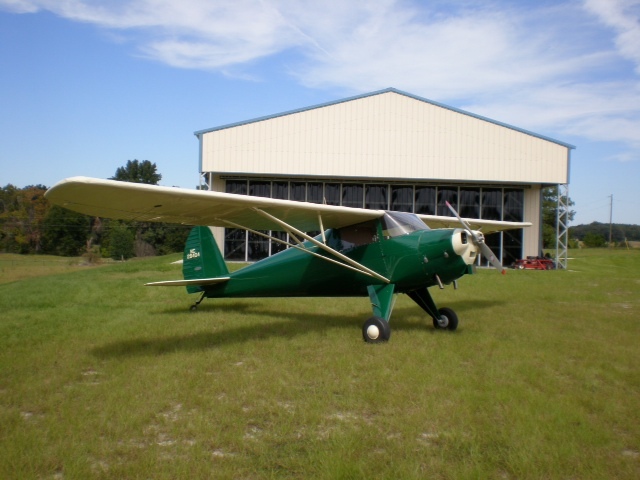 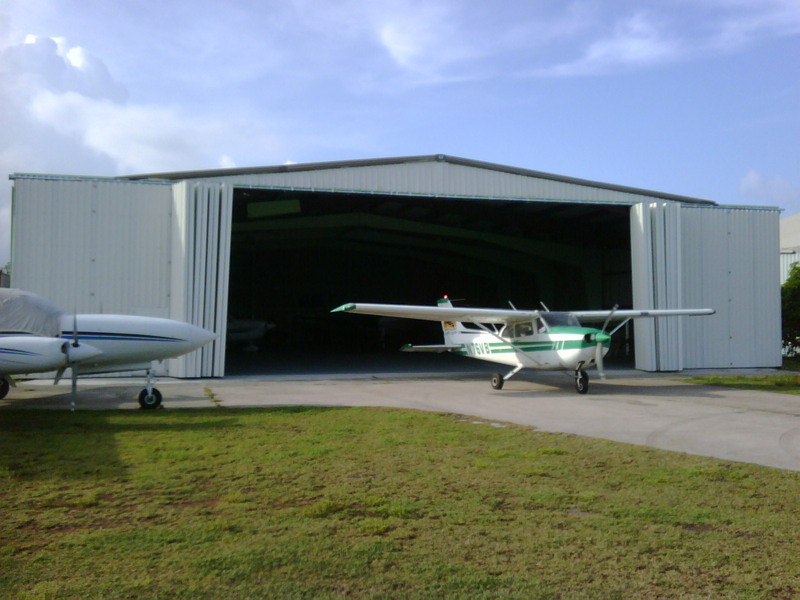 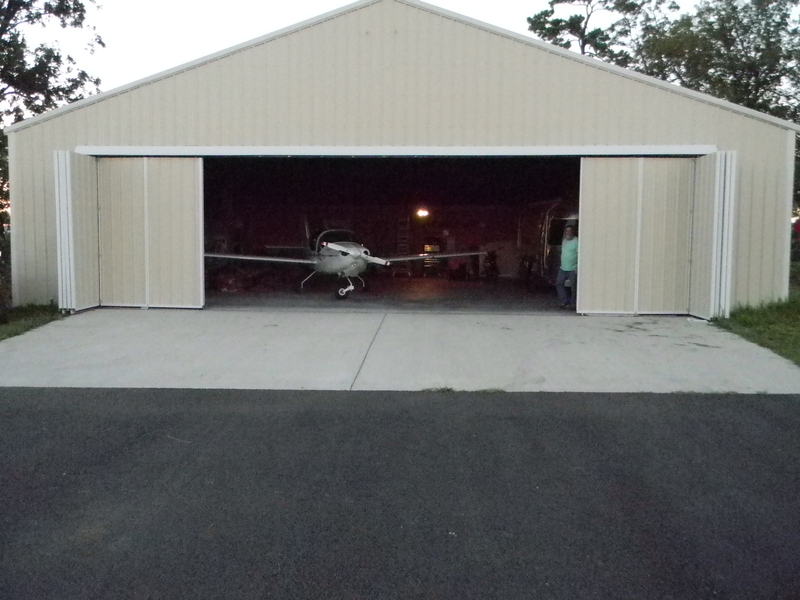 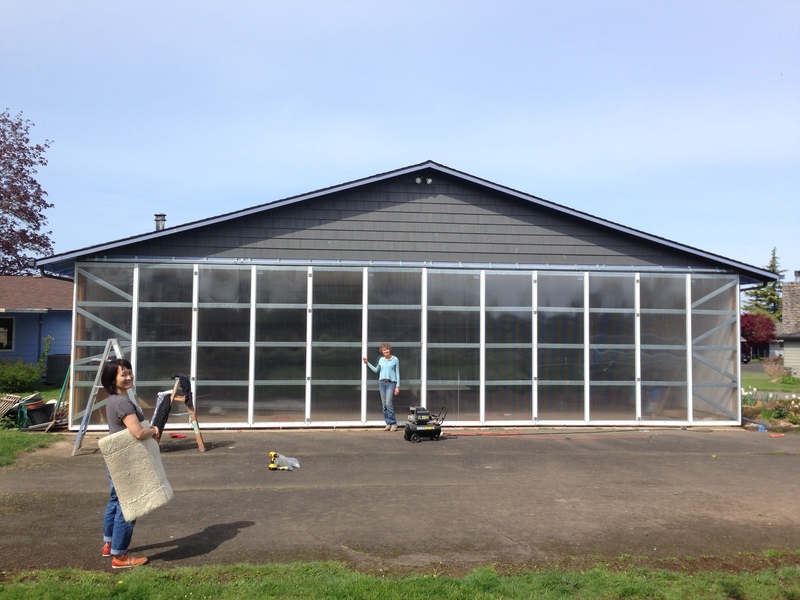 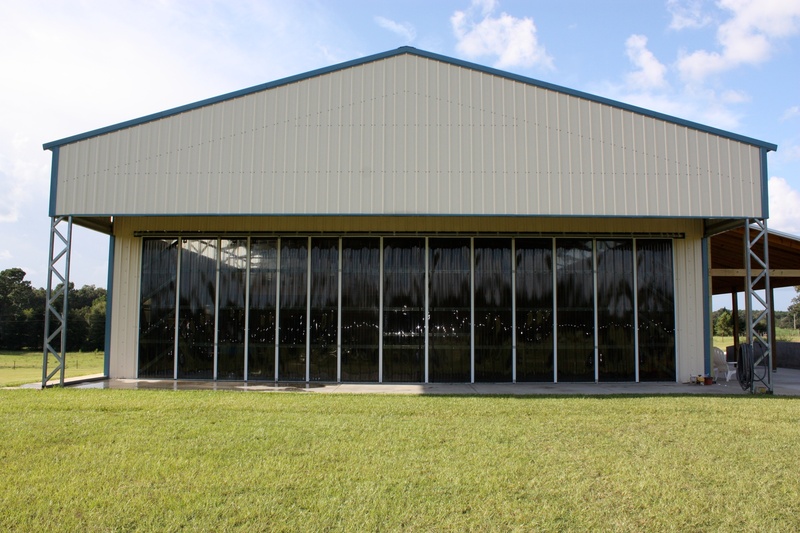 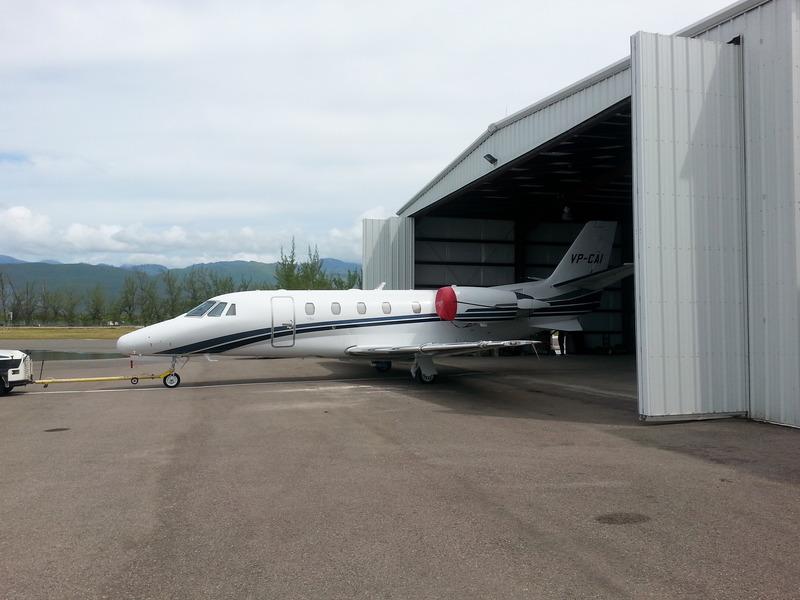 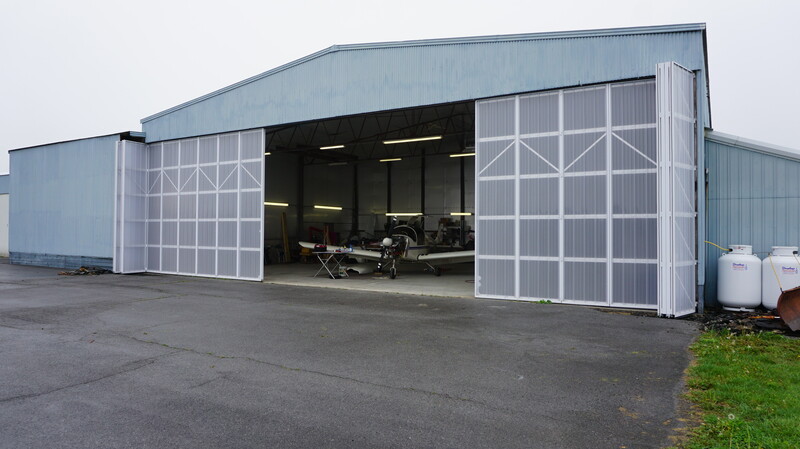 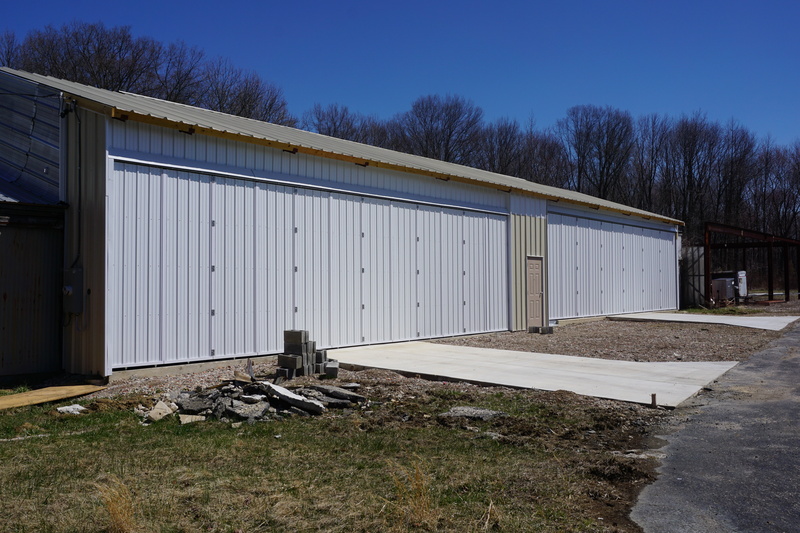 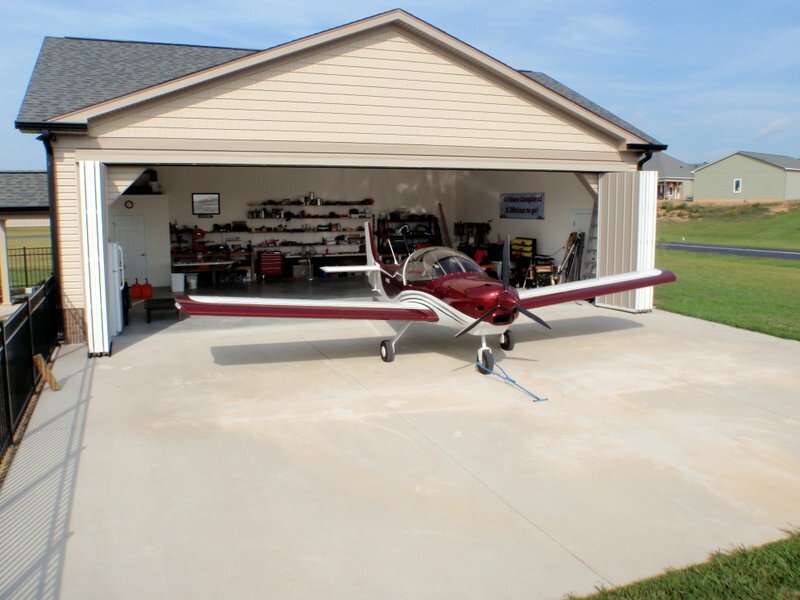 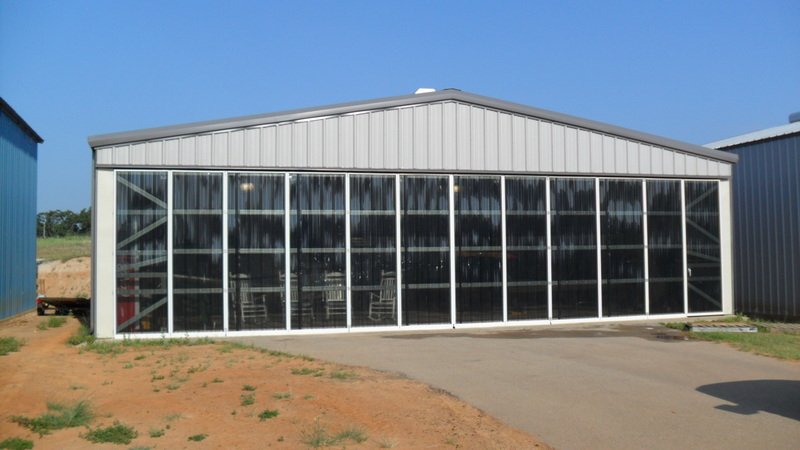 Designed for the typical General Aviation hangar to tightly stacked and give the maximum door opening in your building. 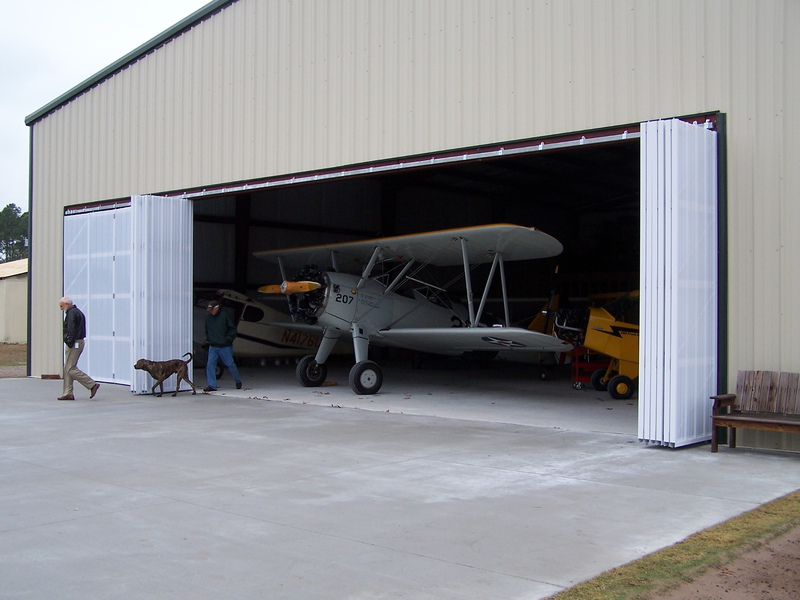 Door can be installed on the inside or on the outside of the building making it attractive for any climate or area. 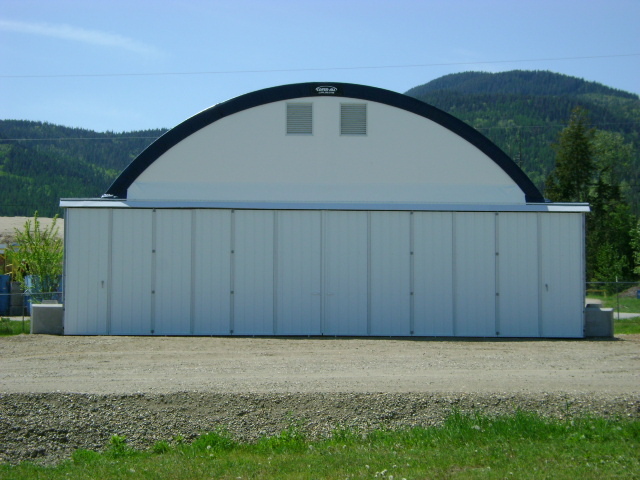 Designed for larger doors and higher wind loads. 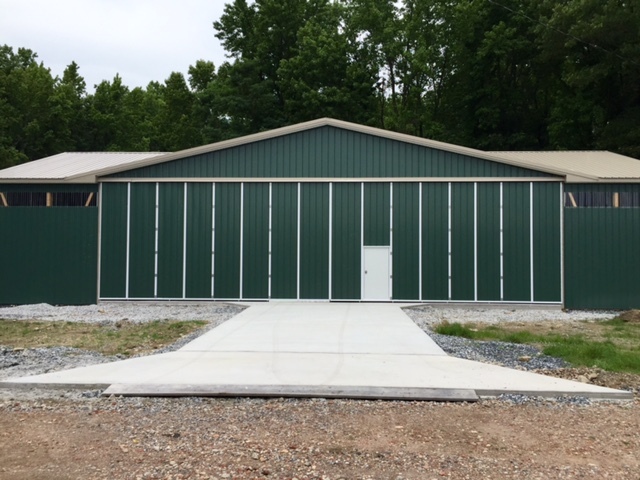 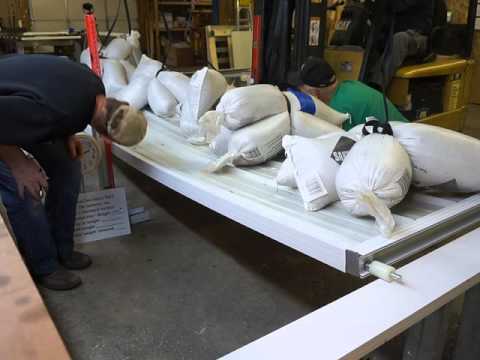 Using our CSA-5.0 extrusions, wide and tall doors can be offered that meet the wind loads needed in demanding areas yet still operate without electrical power. 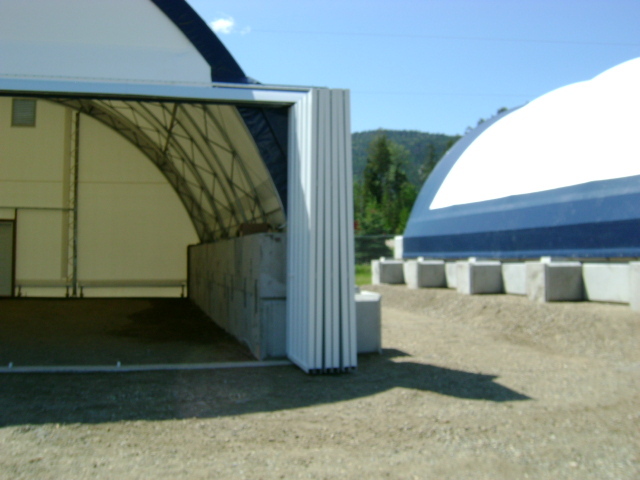 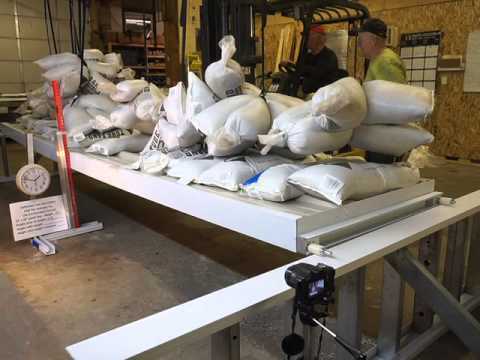 This is a Standard 53â€™ x 14â€™ FoldTite Stacker installation pre-assembled and pre-sheeted with Concealed Stay Rollers. 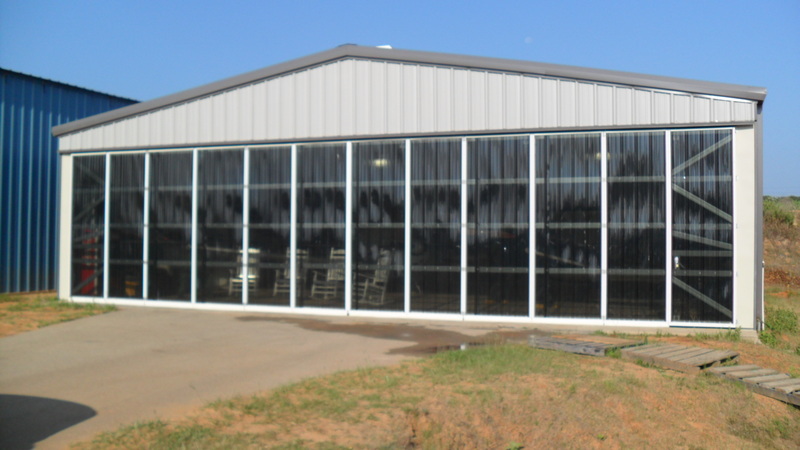 CSA-2.5 Fold Tite Stacker Exterior Install factory assembled with pre-installed half steel and half poly sheeting. 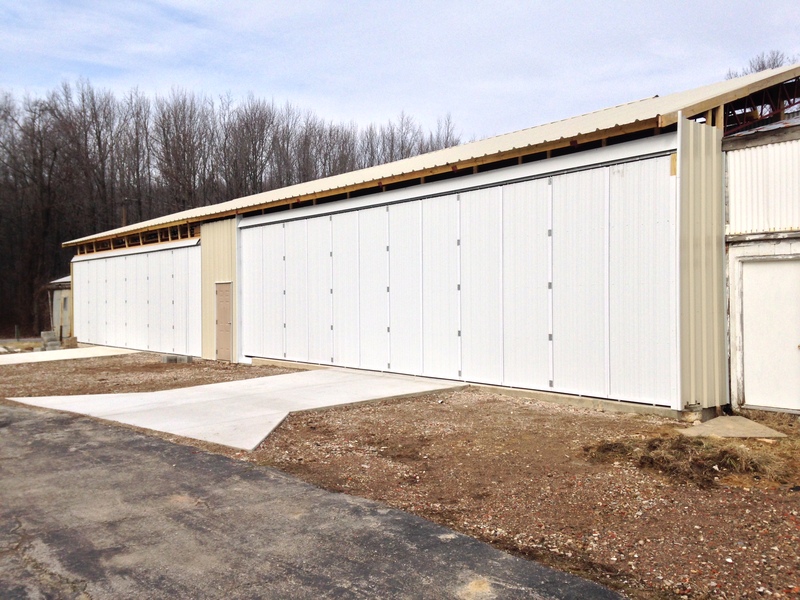 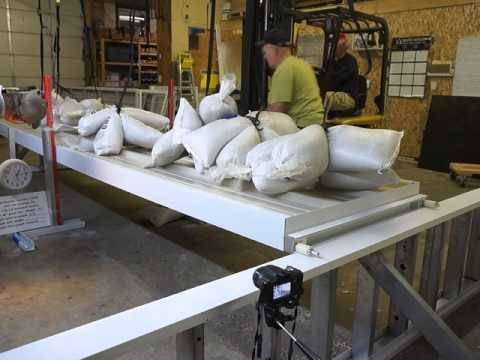 This is a large 60′ X 20′ FoldTite Stacker installation. 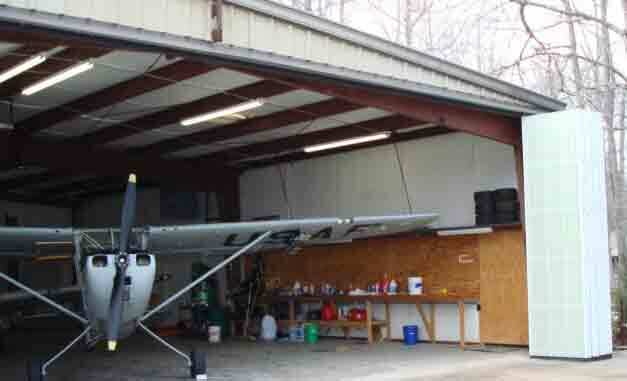 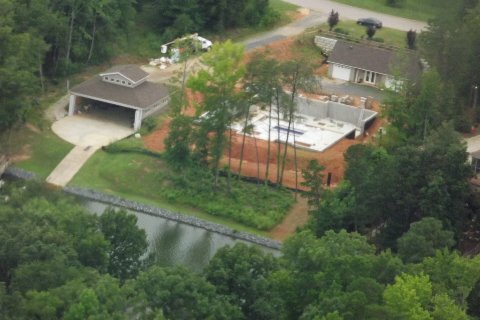 Note the personal door in the left half of the door. 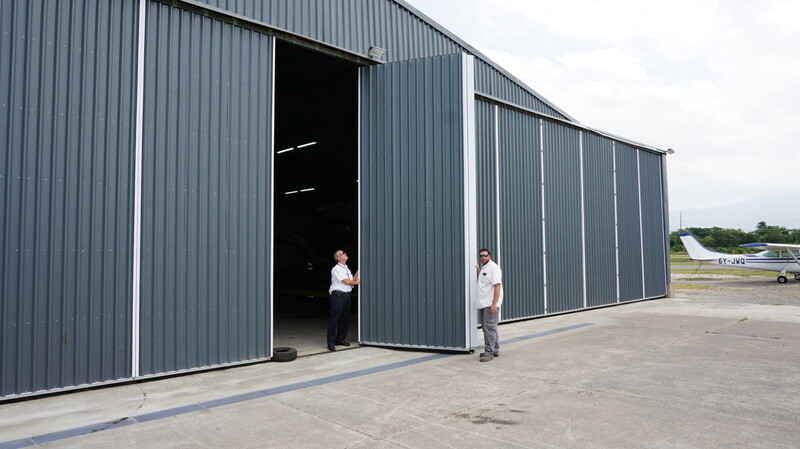 It should also be noted how easy it is for an individual to open this large door. 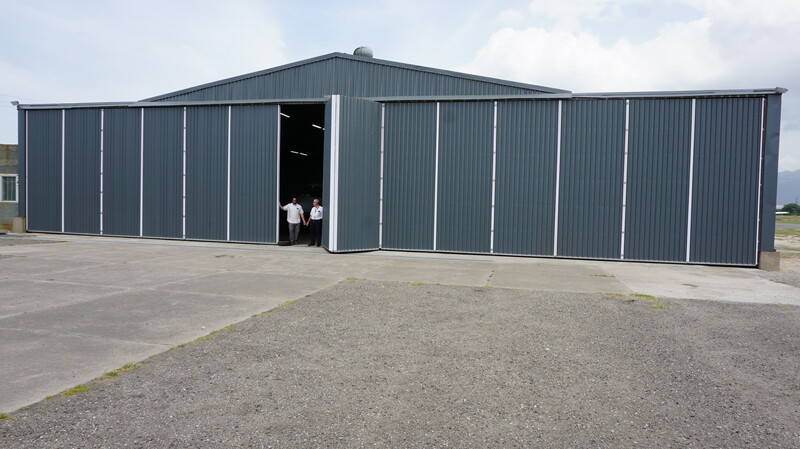 Note this door is installed on the inside of the building and extends left and right of the columns allowing for a maximum opening width. 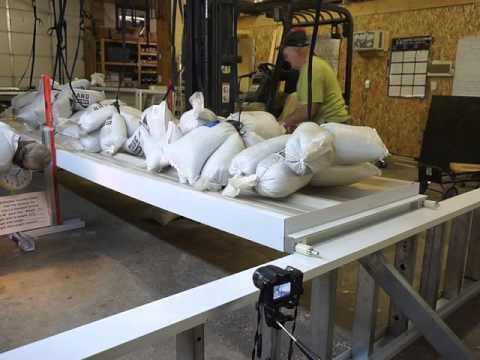 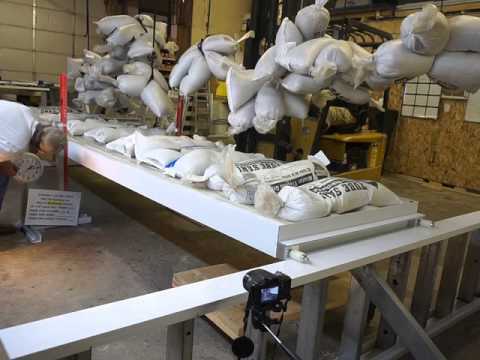 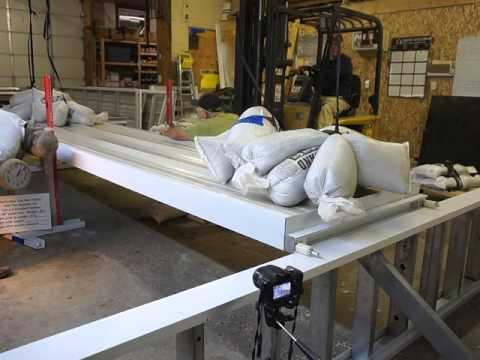 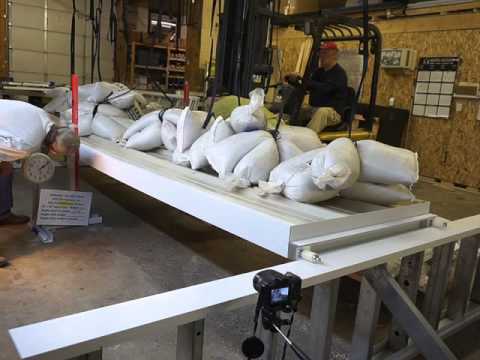 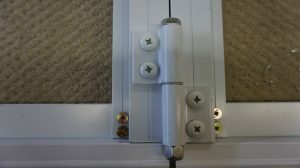 The bottom guide system is utilizing concealed stay rollers. 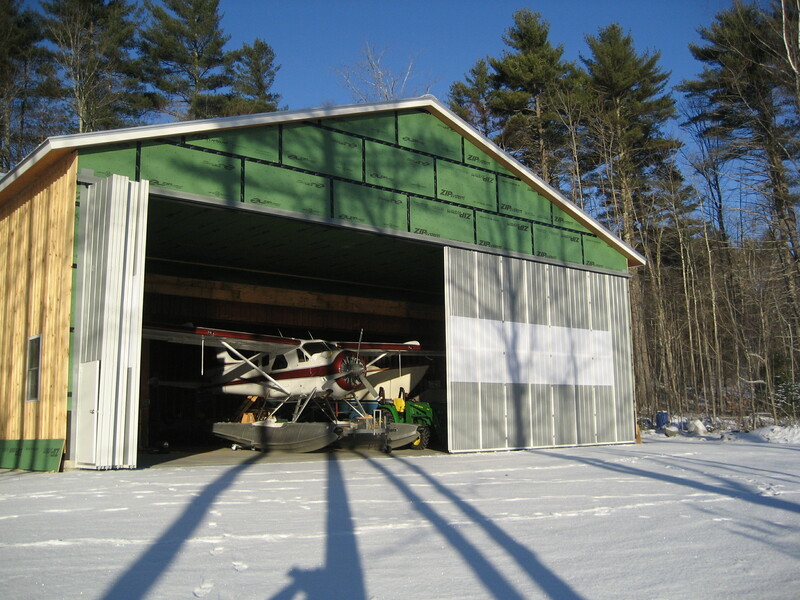 This door is in Vermont and the concealed stay rollers are well suited for the snow and Ice. 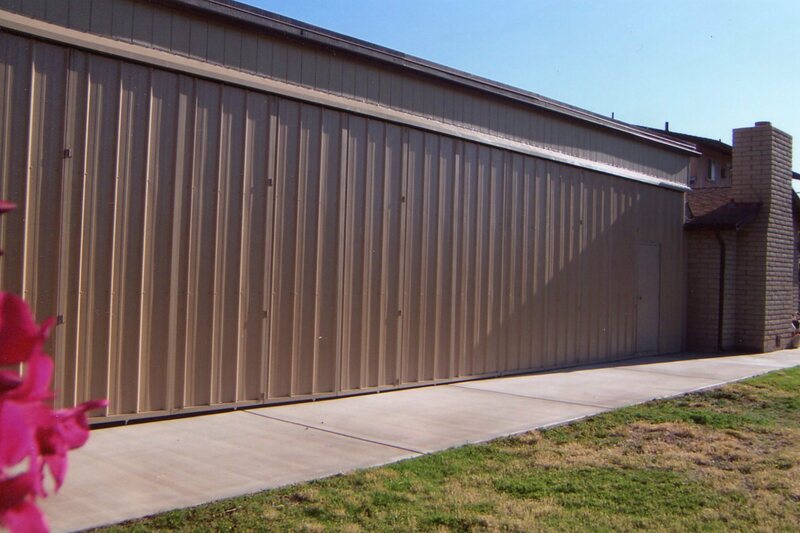 Note this door is installed on the outside of the building. 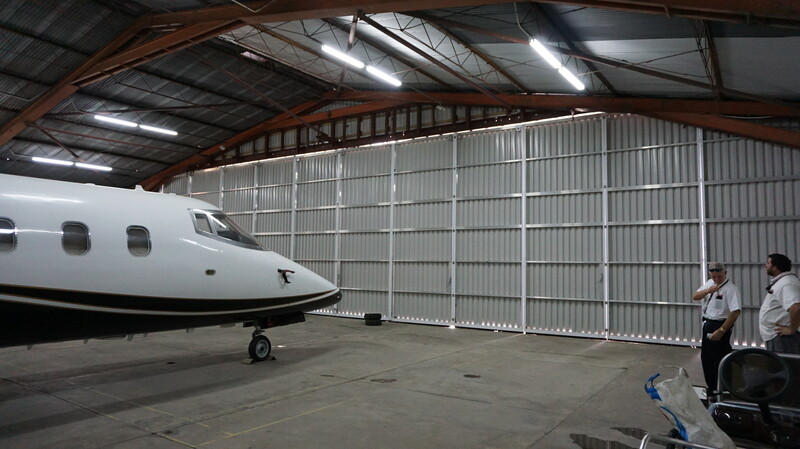 The door utilizes clear polycarbonate panels for lighting purposes. 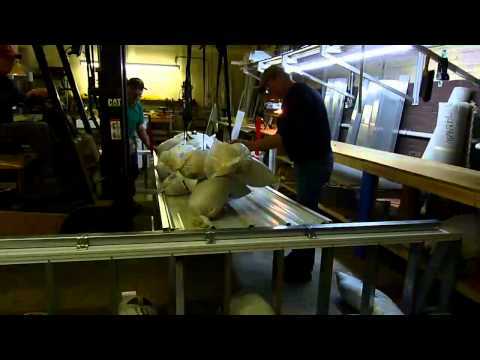 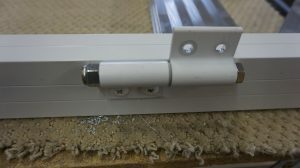 The bottom guide system is utilizing concealed stay rollers.